No one has won the Powerball jackpot since the day after Christmas. Twenty-four drawings since then have failed to produce a winner. The buyers of three tickets shared the country's largest jackpot. 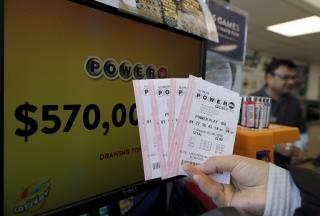 It was a nearly $1.59 billion Powerball prize drawn on Jan. 13, 2016. A South Carolina purchaser won a $1.54 billion Mega Millions jackpot. That was the nation's second-largest lottery prize ever. I don't normally play the lotto but I will chip in when they have the office pool for this because who wants to be the one guy that didn't put $2 into the pot when it wins. Anyone who plays the lottery should be shipped one-way to Australia to live on that cesspool of a continent with the other generational criminals.